"If I plagiarize, it's only because I like someone else's idea better than mine and I want credit for it." If you would press me to pick my least favorite mystery writer, I would probably blurt out the name of Kanari Yozaburo – who possesses all the originality of a copying machine and imperiously passes swiped plots off as his own stuff. But what's really unforgivable is his failure rate at utilizing these stolen goods to produce at least a half descent story, even if we've seen parts of it before. Instead, he clings desperately to a rigid, hackneyed formula constructed around the avenger-from-the-past theme, closed circle of suspects, cut-off locations and cribbing plot ideas, mostly locked room scenarios, to fluff it all up. But what I really hate, more than anything else, are Kindaichi's little emo-speeches to the murderers, after he caught them. The murderer: They were responsible for the death of my kid brother; they deserved to die! Kindaichi: But your brother wouldn't have wanted you to hurt them... he would've wanted you... to be HAPPY! Even though I can't manage to muster up any excitement or enthusiasm for this series, given up on that a long time ago, I will put all my personal disdain aside and briefly, but objectively, discuss three titles that I tagged as good, bad and average to give the readers of this blog a general idea of what to expect when they decide to pick up a volume. The protagonist of The Kindaichi Case Files is the high school student Hajime Kindaichi, who's the supposed grandson of the famous Kousuke Kindaichi, and, despite an I.Q. of 180, he's a lazy underachiever at school with a knack for attracting corpses wherever he goes – especially when he's taking a field trip or is on holiday with friends from his school. I don't know who was being ripped off and repackaged in this volume, but his or her sense for clueing and creating locked rooms is on par with John Dickson Carr and Christianna Brand – and even that second-rate hack wasn't able to dilute the brilliance of the original ideas with his tired old formula and mediocre writing. The set-up of the story is riddled with tired old clichés and reinforces the flawed image most people have of a classic detective story: Kindaichi and Miyuki are invited by Superintendent Akechi to be his tag-along guests at the House of Wax, a castle transplanted from Germany, where its owner will be throwing a murder party for people who have made a name in the world of crime. There are professional and amateur detectives (including the nephew of Lt. Columbo! ), mystery writers, crime reporters and even a pathologist. Upon their arrival they discover the place is filled with lifelike wax dolls, including replicas of the participants, dressed up in fancy medieval costumes, and their mysterious host is only present as a disembodied voice bellowing through the ancient hallways of the castle. The game's afoot and the guests have to solve the stabbing of one of the wax dolls, but this proved to be an eerie precursor for an actual and identical murder, this time under impossible circumstances, and what follows is an exceptional well-plotted detective story – in which the characters play around with assumptions and have to correctly interpret a galore of double edged clues (e.g. medieval costumes, wax dolls and the flickering of candle light). This is one of perhaps only two or three volumes really worth the effort of tracking and hunting down. This is one of the most shameless acts of plagiarism in the series, in which Kanari Yozaburo audaciously lifts the best bits and pieces from Soji Shimada's The Tokyo Zodiac Murders (1981) and brings nothing to the table himself. The story follows Kindaichi and Miyuki to a small, hexagram-shaped village were they plan to attend the wedding of a friend. The strange village is littered with themed mansions, and all of them harbor the mutilated remains of a mummified corpse – hinting at a dark secret buried deeply in the faraway past. But whatever was buried starts clawing its way to the surface and shortly after their arrival an impossible murder is committed, inside a locked chapel, and the aristocratic owners of the mansions start dropping like flies. Yes, I know what you're probably thinking, but don't make the mistake of saying to yourself, "Well, that doesn't sound all that bad." The shaped village, the cutesy themed mansions and the gore fest only serve to distract your attention away from the fact that you're reading a poorly altered and abridged version of The Tokyo Zodiac Murders. That's all the story has to offer, the main trick and a rejected solution from that book – everything else is just eye candy or filler. Surprisingly, this story broke with the apparently adamant formula and consequently wangled an unexpected solution, but only because, as a regular reader, you were expecting the same old, same old. Still, it's one of the more readable entries into the series. 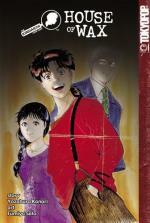 This time Kindaichi and Miyuki enroll into the school's mystery club, who are in the process of investigating the origin of a bunch of urban legends attached to their school and a possible connection to a shady figure calling himself The After-School Magician – whose been sending warning letters to the school not to tear down his old abode on the campus grounds. But his pleas fall on deaf ears and he decides to force his point home by scattering the school grounds with a few bodies, and he's not too shy to make an appearance in front of live crowd, including Kindaichi, and hang one of their friends in full view of them – only to disappear, together with his victim, from a locked and watched classroom moments later. You don't have to overtax your brain too much to figure out how the murderer created the locked room illusion, but his identity comes as a genuine surprise if you were expecting the face of the usual Kindaichi killer underneath the magician's mask – and I'm not entirely sure if that's a good thing or a bad thing. However, much of the praise must be heaped on the translator, who was faced with the problem of an untranslatable dying message and simply, but effectively, cooked up a new one that fitted in with the story and artwork. Hey, let's end this negative tainted review on a positive note with a few more plugs: At the Scene of the Crime (from a very prolific blogger... seriously, give us a break to catch our breath), Pretty Sinister Books (read this... or else! ), Only Detect (great blog), In Search of the Classic Mystery Novel (aren't we all? 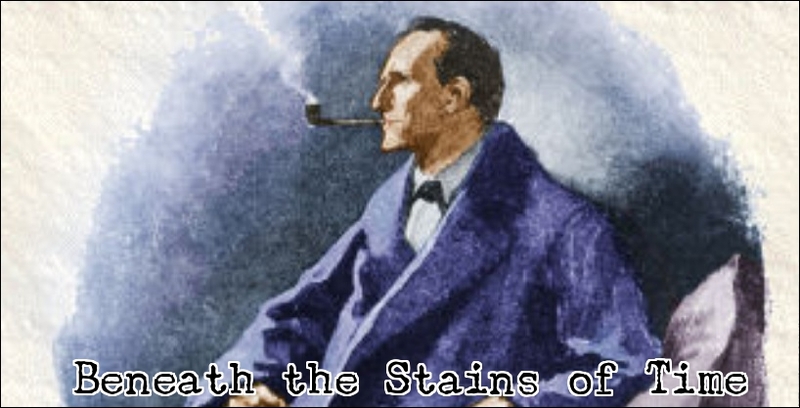 ), Classic Mysteries (weekly podcasts of classic whodunits currently in print) and Tipping my Fedora (glad to know there are still classy people with taste). Thanks for the (totally undeserved) praise and plug! Don't think I'll have the time to sneak in a reading of "The Frightened Stiff" this week though (trying to finish "Jinroujou no Kyoufu" this week), but maybe next week. And we've talked about "Kindaichi Shounen" often enough, so I won't go into that here again. It's still a shame they never got around to the Amagi stories and I doubt Kodansha USA will continue with it, though "Tantei Gakuen Q" might still be an option. "Smoke & Mirrors" still remains one of my favorite "Kindaichi Shounen" stories by the way, due to the setting. The story is set in a recognizable, Japanese school setting with afterschool activities and circles/clubs, not to mention the architecture of Japanese schools (and conected even all the way to the motive). "The night is darkest just before the dawn"
What Mysteries Lie Under the Rising Sun? "Fighting crime in a future time"